Dr. Larry Squire is a Professor of Psychiatry, Neurosciences, and Psychology at the University of California San Diego and a Senior Research Career Scientist at the Veterans Affairs Medical Center in San Diego. He received his PhD From the Massachusetts Institute of Technology and completed his postdoctoral training at the Albert Einstein College of Medicine before joining the faculty at UCSD. Larry has received many honors and awards during his career. He is an elected member of the American Academy of Arts and Sciences, The National Academy of Sciences, the American Philosophical Society, and The Institute of Medicine. Larry also previously served as President of the Society for Neuroscience. 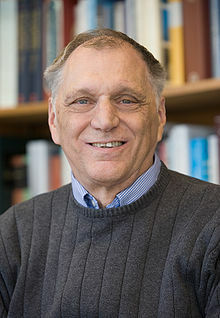 He is also a William James Fellow of the American Psychological Society and has received many awards, including the Award for Scientific Reviewing from the National Academy of Sciences. Larry is here with us today to tell us about his journey through life and science. Dr. Squire’s research concerns the organization and structure of mammalian memory (humans and rodents) at the level of neural systems and cognition. A part of the research involves studies of identified neurological patients with impaired memory. The research program also involves rodents, particularly with respect to questions about the anatomy of memory and the function of the brain systems that support memory. In addition, the facility for functional imaging at UCSD is affording the possibility of studying brain systems of human memory in normal volunteers. Dr. Squire also conducts consultation for neuropsychological evaluation of memory impairment, effects of electroconvulsive therapy on memory, and other kinds of behavioral assessment.